Two weeks ago I bought a vintage 35mm camera from the flea market, which is lots of fun to play with. 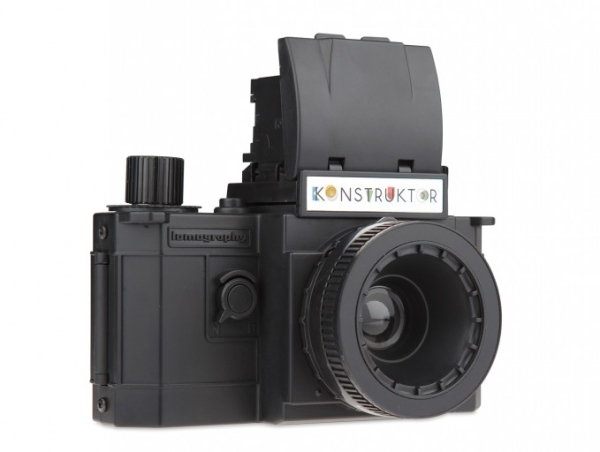 But if I had known about the Konstruktor DIY Kit from the Lomography people, I would definitely have chosen one of them instead. The Konstruktor is pretty much exactly what it says on the tin. 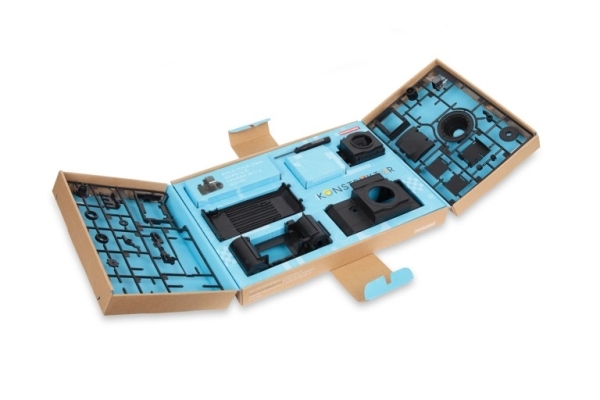 It is an all plastic SLR film camera that you build like a model plane. With that concept in mind, you would think that it would be for the most part a solid piece that you snap together once and that’s it. You would be wrong. Although this camera is plastic it still allows for removable lenses, which means you can swap out the lens for different zooms and focus. They even have a macro adapter available for taking pictures of a tiny world. 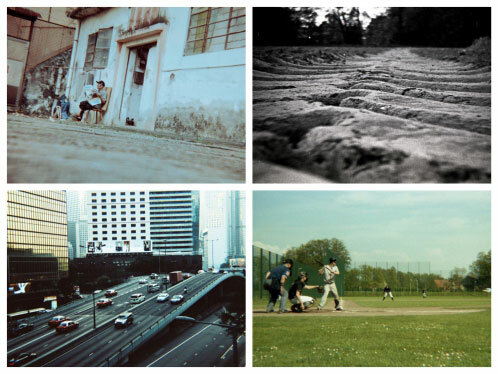 You can see some cool samples of the type of images you get here (complete with all that lovely Lomographic moodiness). Although this neat little camera isn’t going to be able to give you the full range of a brand new DSLR, it does offer a 50mm lens and will make a good camera for taking portraits or just experimenting and having fun while learning some of the basics of photography. The Konstruktor DIY Kit is priced at $35. A couple of rolls of film and you’re all set.